Spain beat Portugal on penalties last night to reach yet another major international final where they will face either Italy or Germany. The 4-2 spot-kick victory over Cristiano Ronaldo’s Portugal was preceeded by some pretty mundane activity but nevertheless Spain’s quality ensured they prevailed at their Iberian neighbours’ expence. Here is what we learned from last night’s game. Paulo Bento’s brave battalion faced the toughest task in world football in preventing World and European champions Spain from playing their natural game. Yet against the odds he pursued his brave pressing game and shunted their Iberian opponents’ creativity on countless occasions. A high line squeezed Spain’s possession making retaining the ball easier, especially as Spain stuck to the timidity of Negredo and Fabregas through the middle. Going forwards, Portugal pressed and forced Spain into defensive panic, tirelessly closing down the full-backs and midfielders and in Ronaldo they always posed a threat. Vicente del Bosque sprung a real surprise in his starting line-up by bringing in fourth choice striker Alvaro Negredo to begin the match. Negredo, having just a minute of tournament action to his name so far, rarely featured in a half dominated by Portuguese threat and Spanish aggravation and was duly replaced soon after the break. Facing up against Pepe and Alves, Negredo didn’t look like causing them a problem or making a darting run behind the huge, sluggish centre haves. Surely the pace of Torres or the physical presence of Llorente would have caused more of a dilemma– yet Fabregas was the first choice replacement in the centre and impacted proceedings little more. Considering Spain play the game as though graced by the gods, they failed to impress, as they have done throughout the tournament. The woeful lack of desire to break through a resolute Portugal defence and instead relay the ball around as if looking for someone to take responsibility for the performance seemed distinctly distant from teams gone by. Minus Torres and Villa, Spain appear toothless and over-reliant on a moment of magic from Iniesta. Jordi Alba and Alvaro Arbeloa often posed the more attacking threat down the flanks as the midfield failed to create anything at all. Sometimes touted as the world’s greatest passer, Xavi deserves every ovation he receives. Yet during the last couple of matches he has not been as influential as his reputation suggests. His passing statistics may support his claim but his distribution recently hasn’t been of the standard he nor Spain would expect. Against Portugal, he couldn’t assert himself upon the game and when in possession, the ball travelled backwards more often than it went forwards. What he did with the ball ultimately resulted in his substitution and a tedious 120 minutes of Spanish frustration. His quality has been missing from this tournament, especially against more stubborn backlines like Portugal and Italy’s. Facing a tired Italy tomorrow, Germany, despite their predicted superiority, are expected to meet Spain in the final for the second time in four years. Should they progress tonight they will face off against a fatigued team. Spain were poor and Italy have their weaknesses and many are tipping Germany to go all of the way. Whatever happens tomorrow night, Germany have the upper hand on both of the teams remaining in the competition. Spain have reached the final hurdle once again, but in Germany they could well be undone and Spain’s era of dominance could be about to end. If they play how they did last night then that could well be the case. 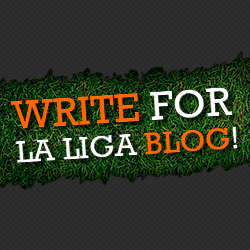 Welcome to La Liga Blog. Your daily source of Spanish La Liga football results, and La Liga Soccer news, views, league tables, fixtures, results and opinion.